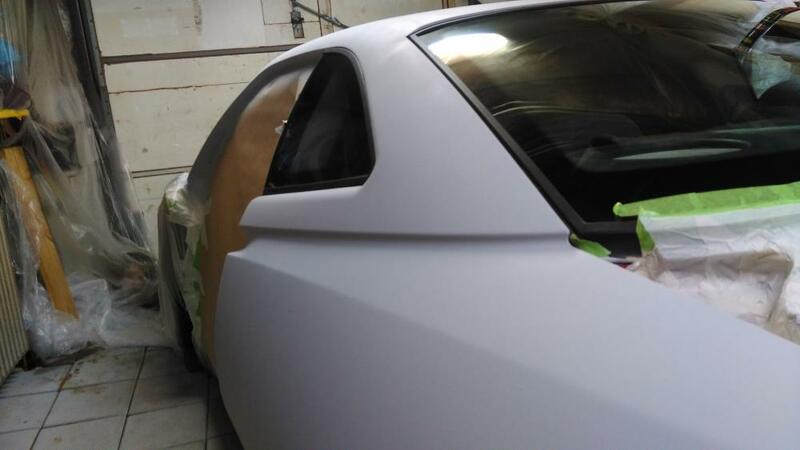 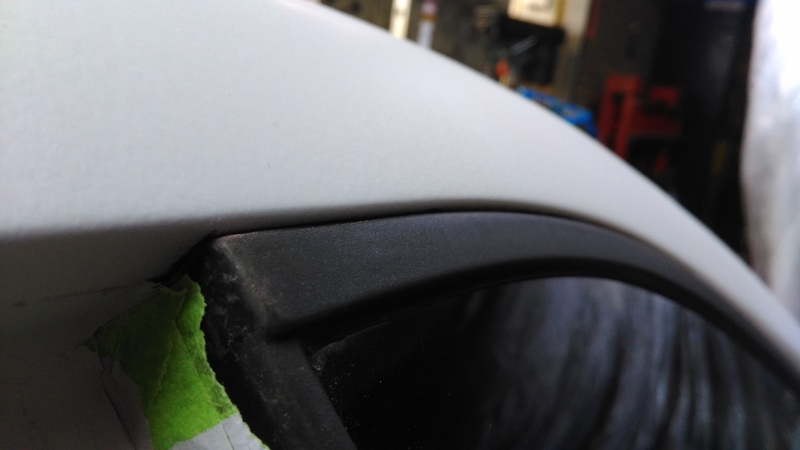 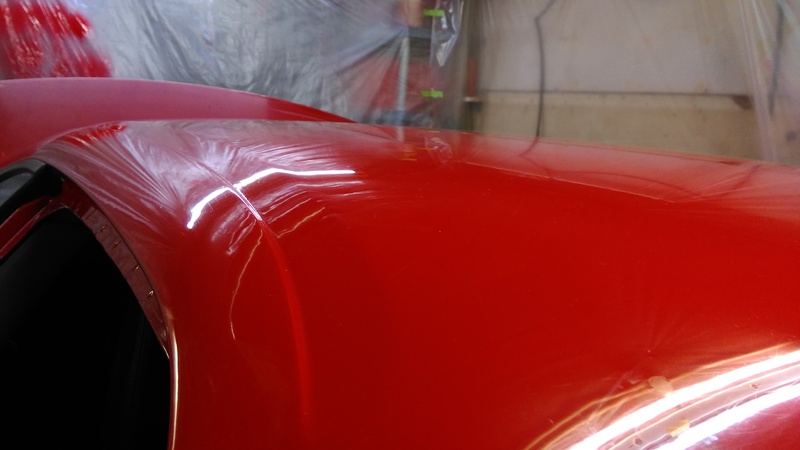 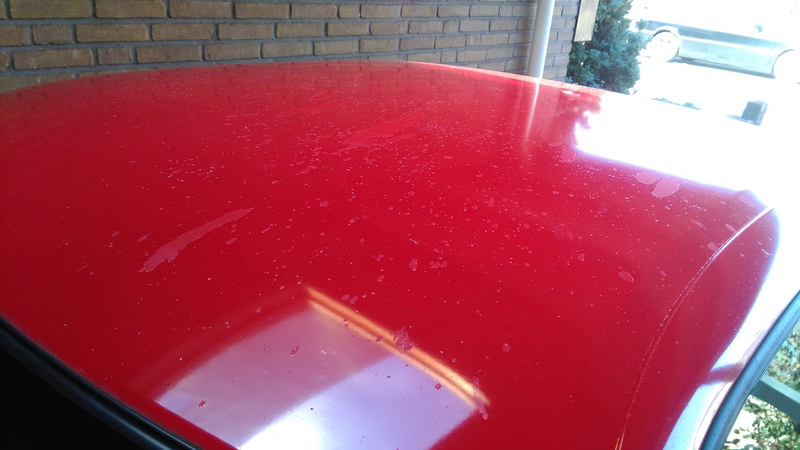 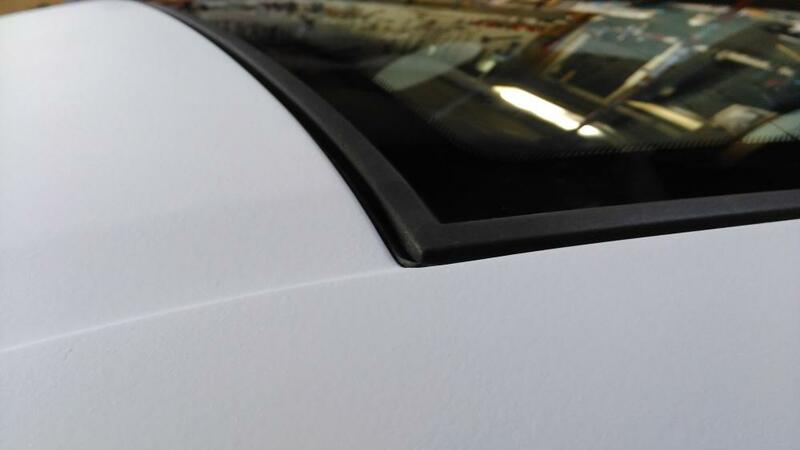 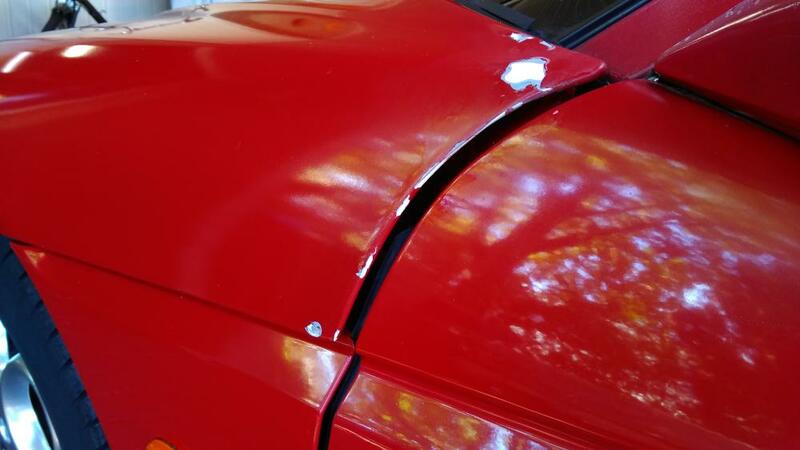 Some pics of the paint before sanding the car and how the car looks right now. 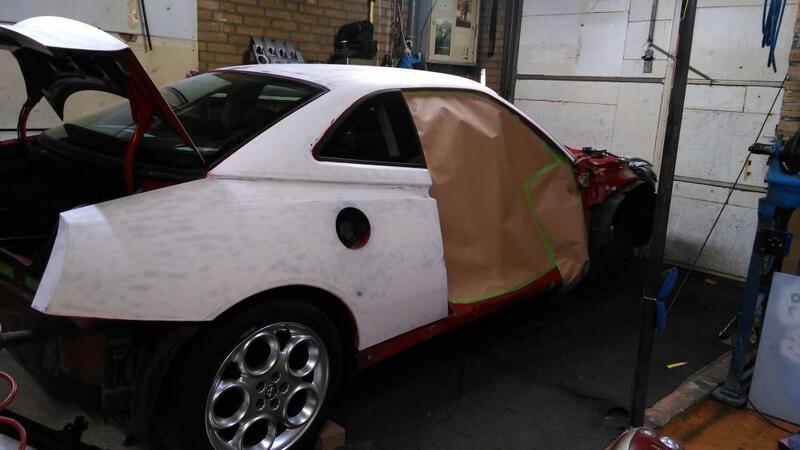 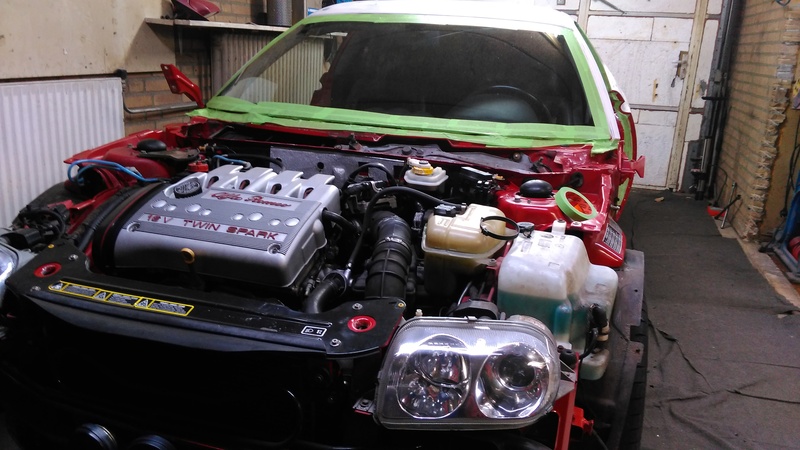 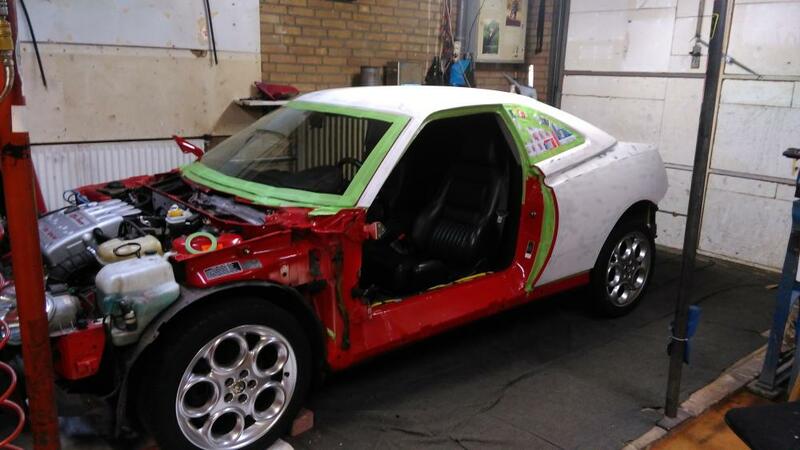 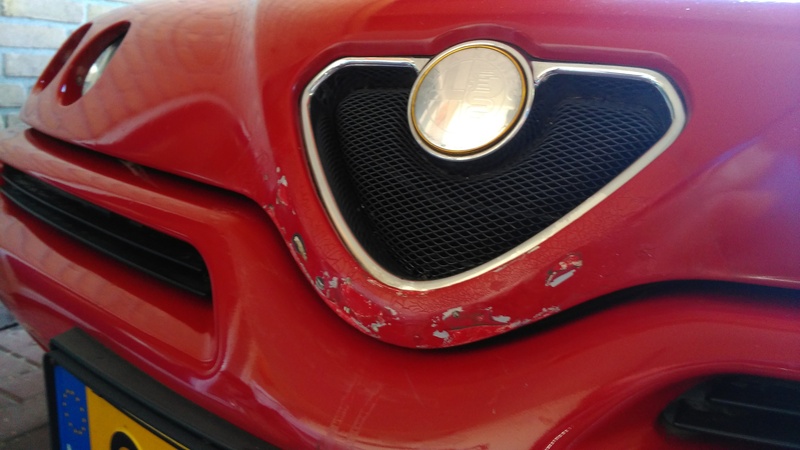 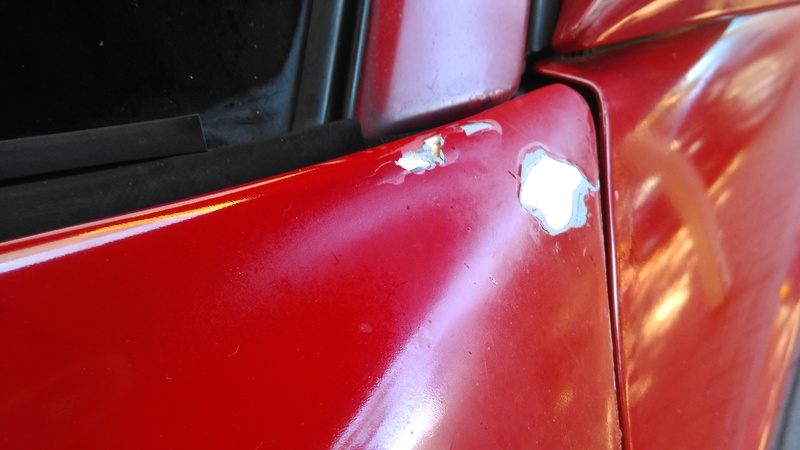 This week I will make some more picture's of the car in the current state. 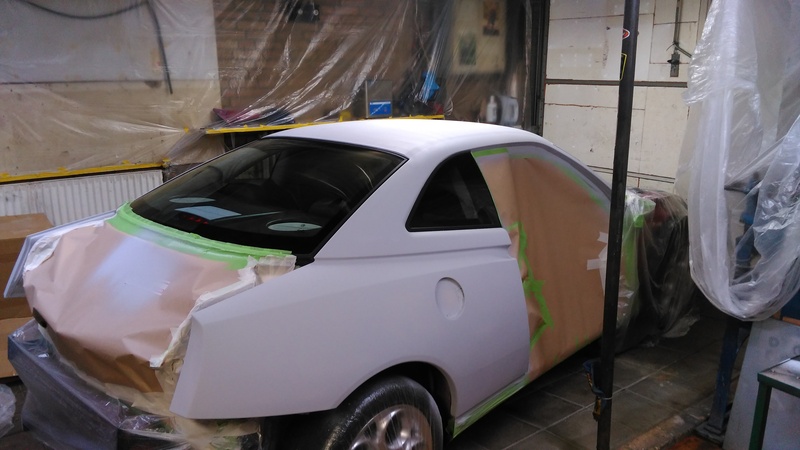 After a little delay, the car is now finally in the primer. 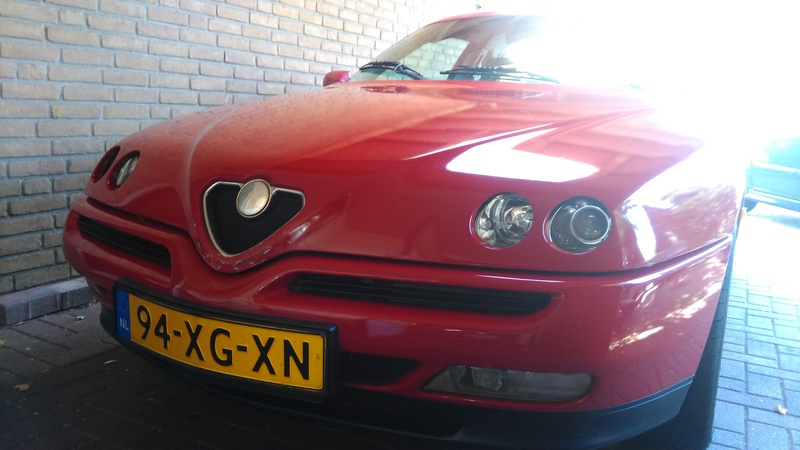 Hopefully next week in the beautifull rosso 130 hwb. 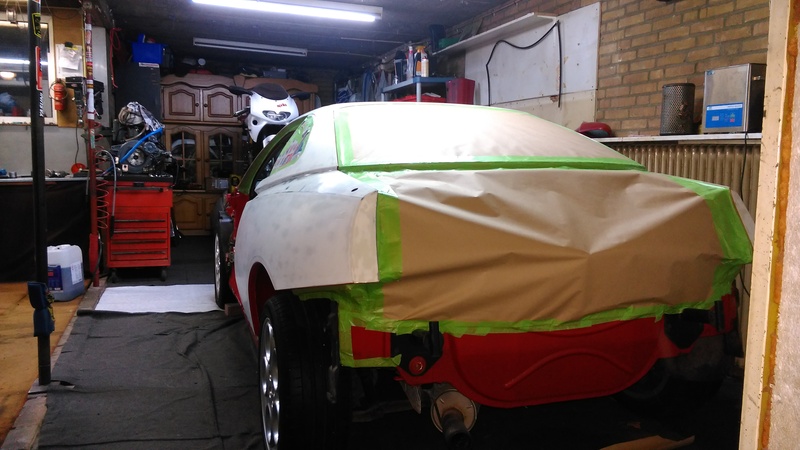 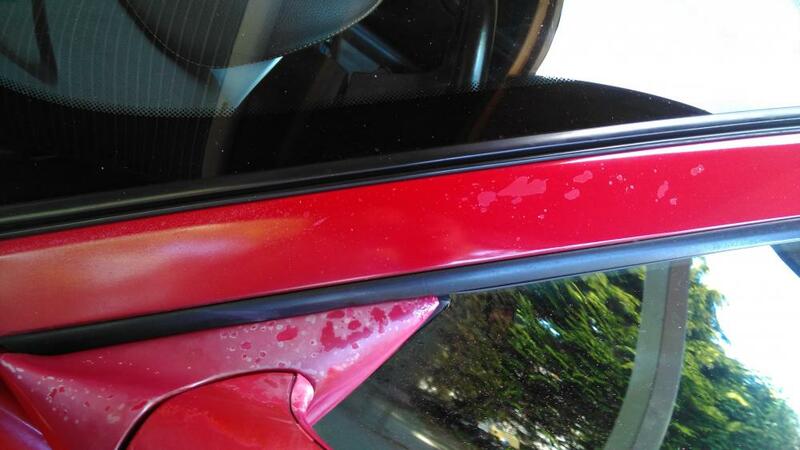 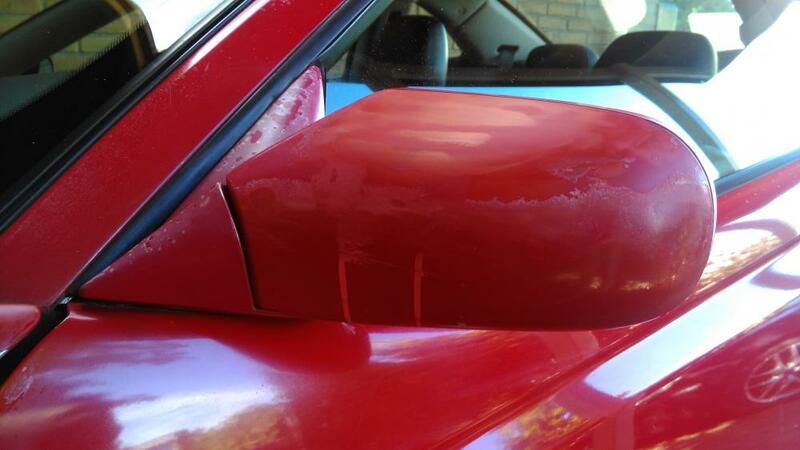 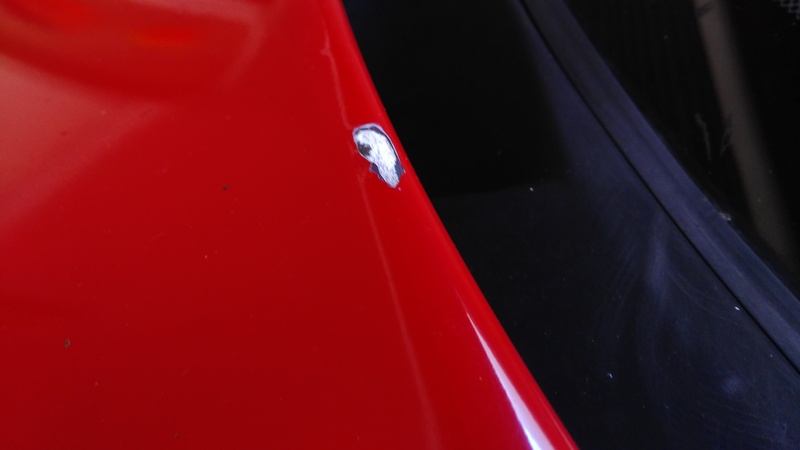 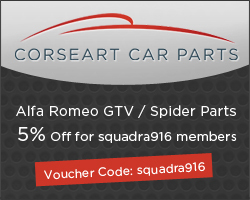 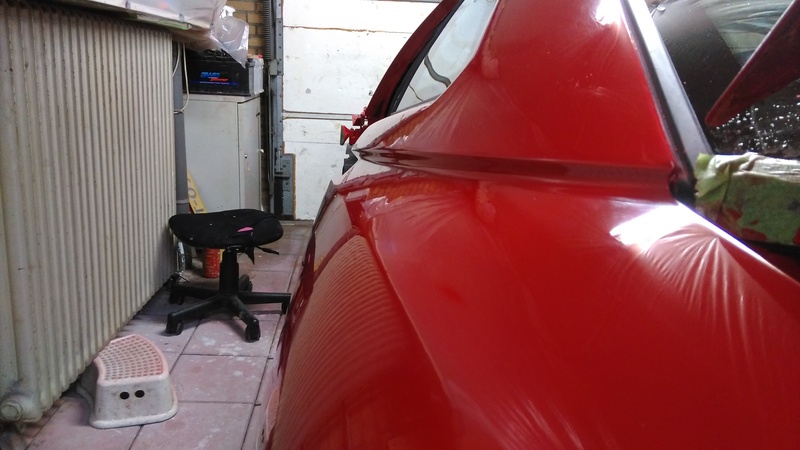 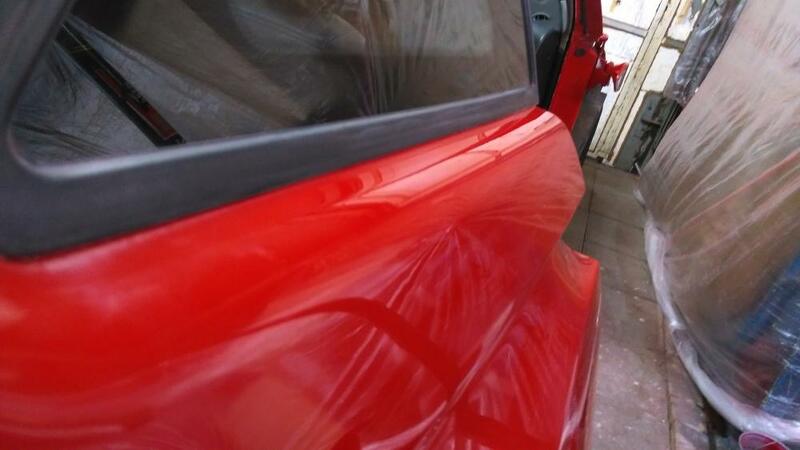 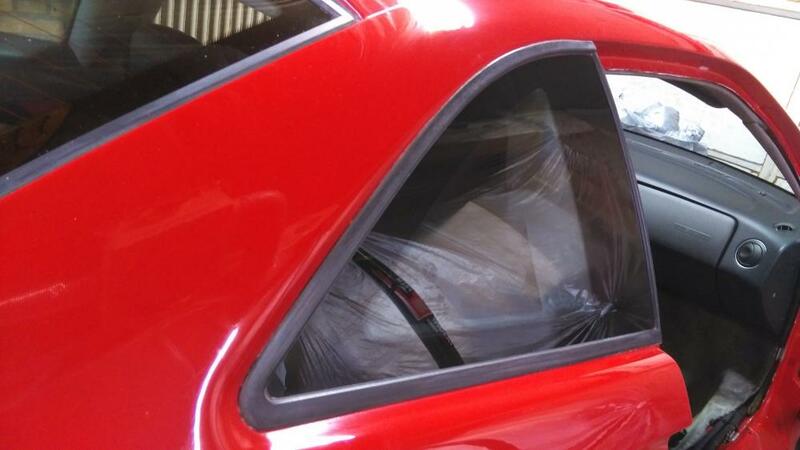 Yesterday we paint the car in red, tonight i will make some pictures of the car including parts around the window.